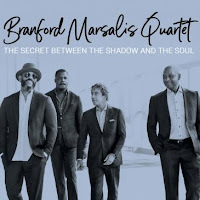 With The Secret Between the Shadow and the Soul, Branford and company start firing on all cylinders immediately via the Revis penned "Dance of the Evil Toys." It's raucous and fun. Calderazzo and Faulkner fly alongside Marsalis with brilliance as they provide a discordant but beautiful stretch of improvising that never lets up until the closing note. 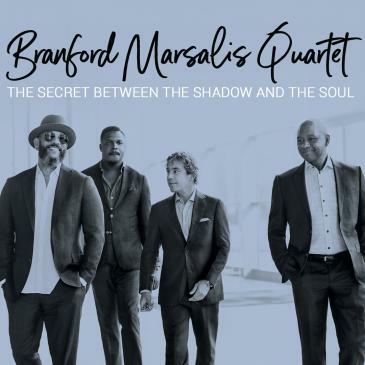 Marsalis' only written number for the album, "Life Filtering from the Water Flowers" begins as if you were opening a vault that leads to a dampened chamber. Calderazzo's notes are calm and joyful leading the group into some great interplay between Marsalis, Faulkner, and Revis that travels throughout the remainder of the piece. The Secret Between.. also includes covers of Andrew Hill's "Snake Hip Waltz" and Kieth Jarrett's "The Windup." Both are excellent interpretations and wonderful additions to Marsalis' catalog. "The Windup" closes out the album in the brusque fashion that it began.